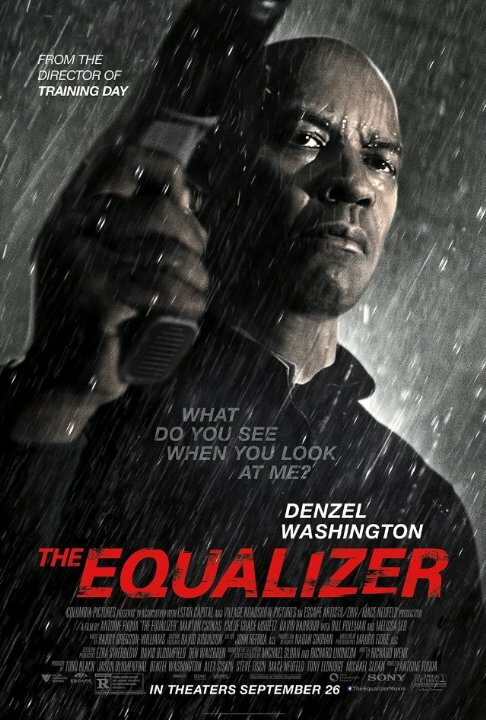 Yes, you can say that Denzel kind of phoned in this performance, but don't knock it too much - Equalizer is packed full of action, long stares and a deadly, deadly man with a heart of gold. Marton Csokas is a good counter-point to Washington and, hey, if it gets more people to read the classics, that's a good thing too. If you crave a bit of action, you could certainly do worse. Average action movie, actually it feels like a superhero movie hidden behind an action movie. No really any depth, expect some sympathy we can see he's feeling towards the young girl. And the fact that he is, in spite of all the killings, a good guy. Guess I just expected more of Denzel, and I think I would have rated lower if he wouldn't have been in the movie. And I like the girl from KickAss :) But to sum up, you don't really need to see this movie. A solid action flick, Denzel and cast deliver. A sleeper hit if you've got an itch that only an action flick can scratch, this film was definitely not on the radar, but well worth the time. I reckon this picture will find a place on your shelf right next to 'shoot 'em up' as it carries the same sort of vibe. A retired killer with a heart of gold who, through the course of his life has somehow acquired insane killing skills, develops a soft spot for a damsel in distress and kills his way through 2 heavy hours of film. Decent pacing and acting good enough to keep the audience engaged, and for the most part a fairly decent job keeping me from rolling my eyes with any inane or too-over-the-top action moments. Just a warning, lots of folks die in this flick and in some pretty painful ways. Can you remember Denzel Washington's performance in "The Book of Eli" ? His coolness and calmness. The grimness. The power he has to move mountains. Approaching his target confidently , his inner tranquility taking over and with extreme precision dealing with his opponents. Shrewdly assimilating the situation, let it sink in for a moment and than act fast accurately. Masterfully, breathtaking to watch and immensely exciting. He also demonstrates these qualities in "The Equalizer". The only difference is that he's not completely blind here. The Sum does not equal Denzel's Star power. No posts have been made on this movie yet. Be the first to start talking about The Equalizer!